Everyone knows that smoking causes lung cancer and heart disease but there are many other health problems that can occur. Here are FIVE good reasons to quit smoking. In a study of over 9,000 men and women over the age of 65 (carried out by Erasmus University Medical Centre in the Netherlands), it was found that the rate of mental decline was up to five times faster in smokers than non-smokers. This provided substantial evidence that chronic use of tobacco speeds up the onset of Alzheimer's disease. People who smoke are up to four times more likely to become blind due to macular degeneration. This fact was concluded by Simon Kelly, an ophthalmic surgeon, after he reviewed three clinical studies involving over 12,000 patients. A report in the American Journal of Respiratory and Critical Care Medicine showed that smokers are more likely to be habitual snorers. 15,000 people took part in the study, the results of which showed that 24% of smokers experienced loud and disturbing snoring at least three nights per week (as compared to 20% of ex-smokers and just under 14% of people who had never smoked). In a study of almost 5,000 men, it was discovered that men who smoked more than 20 cigarettes a day were 60% more likely (than people who had never smoked) to suffer from erectile dysfunction. The results were presented at the American Heart Association's annual Conference on Cardi­ovas­cular Disease Epidemiology and Prevention. 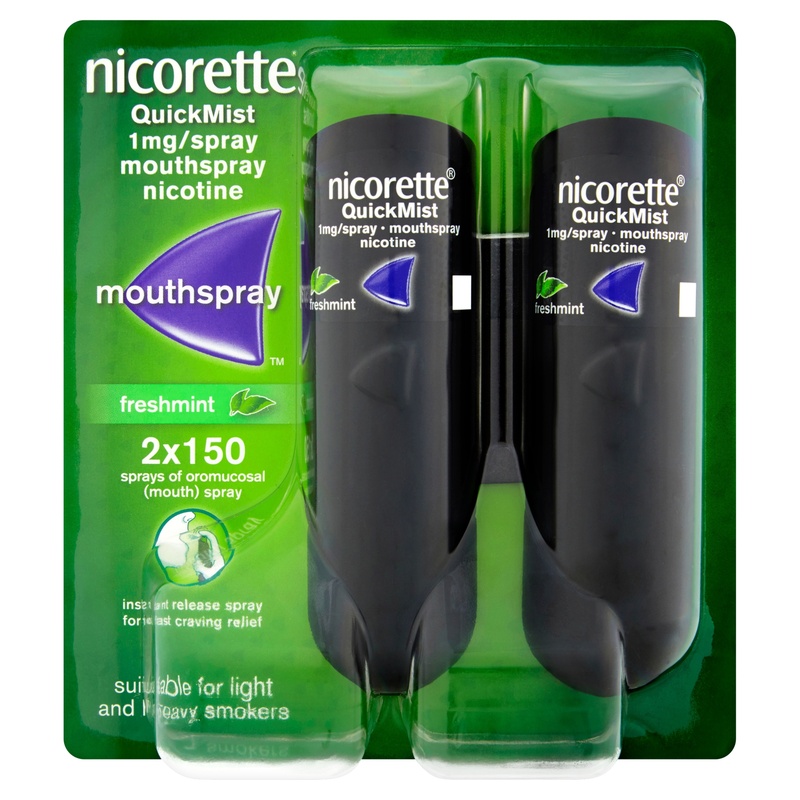 Find out more about Nicorette QuickMist on our website and order soon to save a packet instead of SMOKING a packet!